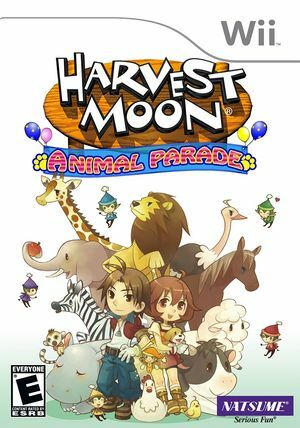 Harvest Moon: Animal Parade is a farming Construction and management simulation video game by Marvelous Entertainment released exclusively for Nintendo's Wii console. It is the second title for the Wii in the Harvest Moon series, and has the same character designer as Harvest Moon: Tree of Tranquility. It features many animals, all of which one can ride, including circus animals. In order for the Album to work properly, Store EFB Copies to Texture Only must be off. Pictures taken with Store EFB Copies to Texture Only enabled will have a thumbnail that is black, and while they will appear for a moment, they will disappear after a while. Taking further pictures will overwrite old ones temporarily as well. To fix, just uncheck Store EFB Copies to Texture Only. The graph below charts the compatibility with Harvest Moon: Animal Parade since Dolphin's 2.0 release, listing revisions only where a compatibility change occurred. This page was last edited on 14 January 2018, at 11:37.